February's First Friday was postponed due to the weather until this Friday Feb. 19. 7pm-12am. 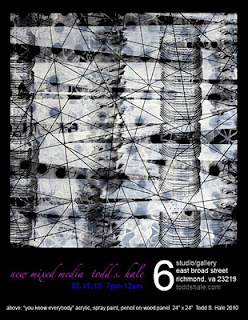 Thanks to RVA Magazine for including studio/gallery 6 in "Last Friday", a monthly video series covering First Friday.